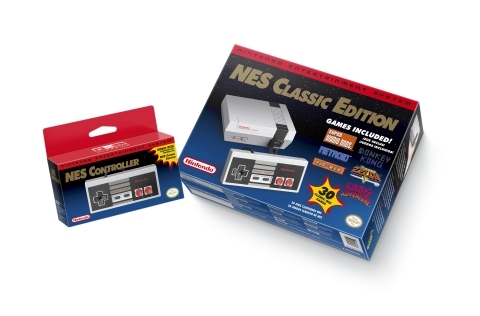 REDMOND, Wash.--(BUSINESS WIRE)--If you see a Nintendo Entertainment System on store shelves this holiday shopping season, you haven’t entered a time machine. (Unless everyone around you is wearing acid-washed jeans and neon leg warmers. If that’s the case, you may have unknowingly walked through a rift in the space-time continuum.) The most likely scenario is you are setting eyes on the Nintendo Entertainment System: NES Classic Edition, launching in stores on Nov. 11 at a suggested retail price of $59.99. 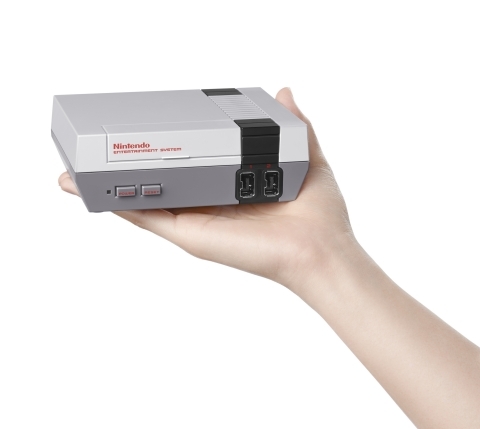 That’s right: The NES is back! But this isn’t the same NES that you fondly remember. This new nostalgia-fueled system is a near-identical, mini replica of Nintendo’s original home console and plugs directly into your high-definition TV using an included HDMI cable. The console comes complete with 30 NES games built in, including beloved classics like Super Mario Bros., The Legend of Zelda, Metroid, Donkey Kong, PAC-MAN, and Kirby’s Adventure.